In this full figure charcoal drawing exercise Steve demonstrates some straightforward methods for rendering the human form. Details of portraiture, hands, feet, pose, and capturing personality are investigated. 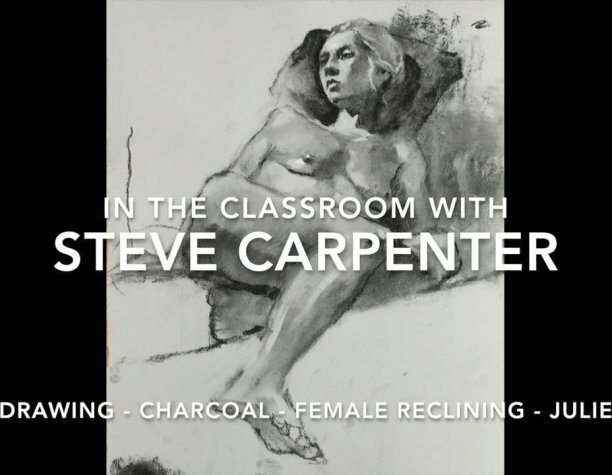 Charcoal drawing techniques for employing highlight, shadow, and line to represent form are all explored in this charcoal figure drawing instructional video.